Samaj kalyan vibhag now going to offer free coaching for the preparation of upcoming combined graduate level examination CGL tier I 2019. all eligible candidates who hold the eligibility criteria they can apply for Social welfare department SWD free coaching scheme. Currently under the free coaching yojana, SC, ST and OBC category candidates will get free of cost coaching for the preparation of upcoming staff selection commission combined graduate level tier 1 examination 2016. All coaching fee will be funded by government of up social welfare department. Coaching institute are located in chhatrapati shahu ji maharaj shod avam prashikshan sansthan, bhagidari bhawan Gomati nagar Lucknow. Free coaching session will be stated from October 2018. Session will completed after 5 months from October 2018. Caste certificate – only SC, ST, and OBC category are eligible for this scheme. Only male candidates can fill application form. 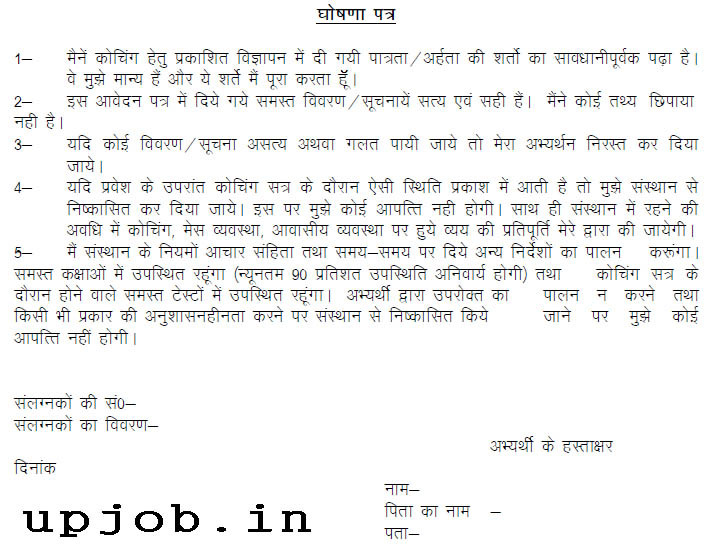 Domicile certificate – only resident of uttar pradesh are eligible for free SSC coaching. Age L limit – minimum age 18 year and maximum age prescribed by karmachari chayan ayog as on 1 January 2017 . Income certificate – all those candidates whose family income is not more then 6 lakh per year they can fill application form for this scheme. Candidates must not work as government employee of any other service and must not enroll in any other program. Candidates must not be beneficiary of other type of donated coaching institutes. Candidates must be eligible for upcoming SSC coaching. Candidate must required to fill upcoming SSC CGL 2019 examination. Selected candidates are not required to pay any type of coaching fee. Government will provide free hostel facility, library, and mess facility for selected candidates. You can take benefit of free fooding and lodging facility upto 5 month of coaching duration . All coaching lecture will be provided in Hindi language. Selection process – selection of the eligible candidates will be based on through the marks obtained by the candidates in graduation degree. Selected candidates are required to deposit rs 1000 caution money during the admission which will be refunded after the submission of No due certificate. How to apply: all eligible candidates are required to fill application form in prescribe application form format. After filling application form attach related document like caste certificate, domicile certificate, income certificate, education qualification certificated etc . Candidates are required to attach character certificate which will be issue by Gazetted officer. Attach two self addressed envelop affixed rs 5 postal stamp ticket . Candidates are required to submit medical certificate at the time of admission. Fill application form by own self. Envelop must subscribed Sanyukt snatak star pariksha 2016 avedan patra . Sir merit list kab tak post ho jaye gi i m waiting for a long time. Plz tell me.